At Patty Peck Honda, we’re committed to customer satisfaction; for over 34 years, we have worked to ensure that each and every customer who visits our lot has an enjoyable and hassle-free car shopping experience. Our knowledgeable sales staff is here to help you make an informed decision. We will not talk you into a car you cannot afford; rather, we will listen to your vehicle needs and direct you towards cars that fit comfortably within your price range. At Patty Peck Honda, we treat our customers like people…not numbers. Feel free to read some reviews left by recent customers who, like you, started their search by simply looking for a “Honda dealer near me” and got a whole lot more than a convenient drive. At Patty Peck Honda, we offer an incomparable Lifetime Powertrain Warranty for the life of your vehicle! We know that Honda models are built to last, and this is our way of showing you that we’re in it for the long haul. To make things even sweeter, this warranty comes with the purchase of a new OR premium used car purchase. The Preferred Value Package offers customers free car washes, nitrogen tire refills for life, our exclusive Loyalty Advantage Benefits package, and more! At Patty Peck Honda, we value our customers. This is our way of thanking you for buying here. We hope you fall in love with your Honda the minute you drive it off the lot; however, if this is not the case, we offer a money back guarantee. You can return your vehicle up to three days after purchasing it…for any reason. Maybe you decided you wanted the Pilot instead of the Ridgeline; whatever the reason is, don’t stress it. We understand that we all make mistakes. You won’t find a more comprehensive new Honda inventory in town. From SUVs to sedans and pickup trucks, we’re bound to have a Honda suited to your vehicle needs and preferences. Whether you’re looking for a brand-new ride or a “new-to-you” used car, Patty Peck is the way to go. If we have yet to convince you to visit our dealership, maybe our Honda service center will do the trick. Our team–comprised solely of factory-trained technicians–can fix it all. Whatever make and model vehicle you buy from us, our service techs have got the know-how, the state-of-the-art equipment, and genuine OEM parts needed to get the job done right. 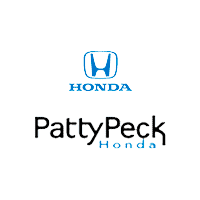 If you were looking for a “Honda dealer near me,” you can stop your search and visit Patty Peck Honda today. To contact our Ridgeland Honda dealership serving Jackson, Flowood, and Madison call 601-957-3400. We are ready and willing to answer any questions you may have.